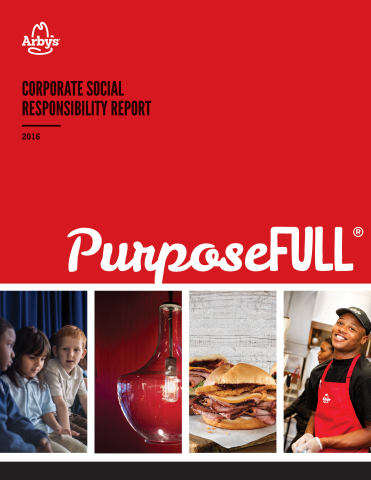 ATLANTA--(BUSINESS WIRE)--Arby’s, America’s first nationally franchised sandwich restaurant brand with more than 3,300 restaurants worldwide, has released its first PurposeFULL report highlighting progress across its Corporate Social Responsibility (CSR) platform. Built to deepen the company’s impact in the communities it serves, PurposeFULL focuses Arby’s® CSR efforts on four key pillars – YouthFULL, SkillFULL, ResourceFULL and FlavorFULL – that address youth empowerment, team member development, energy and water efficiency, as well as food quality and integrity. Arby’s defines the platform as embedding purpose into its actions as a company and a brand, every day, through company team members, franchisees and suppliers. YouthFULL: Arby’s believes in supporting a meaningful, shared cause: Empowering Our Youth. Arby’s YouthFULL efforts are led by its independent charitable arm, the Arby’s Foundation. Founded in 1986, the Arby’s Foundation has donated $77 million to various youth-related causes across America over the past 30 years. In 2015, Arby’s raised a record $3.7 million during its National Restaurant Fundraiser in support of Share Our Strength’s No Kid Hungry® campaign. Arby’s also launched School’s Out, Food’s In to intensify the Brand’s approach to eliminating hunger during summer months; the initiative supported nine communities and offered 1.6 million meals through a Meal Card program. SkillFULL: Arby’s has a winning culture and both inspires and assists team members and franchise organizations to achieve their best. The brand’s “Start Here, Go Anywhere” approach to people development inspires team members to set and achieve their goals, both professionally and personally. Arby’s annual Brand Champ training puts goal-setting into focus and grounds team members in the organization’s six core values: Dream Big, Work Hard, Get It Done, Have Fun, Play Fair and Make a Difference®. In 2015, Arby’s was named among the best and brightest companies to work for in the country by the National Association for Business Resources, and is a finalist again in 2016. ResourceFULL: Arby’s is a good steward of the environment and strives to take a responsible approach to the use of our natural resources. Earlier this year, Arby’s announced that it achieved its “15 percent by 2015” energy reduction goal by reducing energy consumption per company-owned restaurant by 15.2 percent since 2011. This success was accompanied by an 8.6 percent reduction in water use among company-owned restaurants over the same time period. The decrease in energy and water usage also resulted in $20.4 million of energy-related cost savings. Arby’s further established industry leadership in energy efficiency by joining the United States Department of Energy’s Better Buildings Challenge in 2015. FlavorFULL: Arby’s serves quality, Fast Crafted® food and earns the trust of its guests by following the highest standards in the food industry. Arby’s restaurants feature Fast Crafted service, a unique blend of quick-serve speed and value combined with the quality and made-for-you care typically associated with more upscale, expensive restaurant brands. With nearly 3,300 Arby’s restaurants across the country, Arby’s is in a unique position when it comes to sourcing proteins, breads, cheeses and more. The brand is nimble enough to work with smaller, artisanal suppliers, yet large enough to bring these delicious ingredients to guests across America. Arby’s follows the highest standards in the food industry and the company is constantly analyzing and innovating how it sources and prepares food. This ensures that the food Arby’s serves every day is freshly prepared, delicious, safe and nutritious. To read the full report, please visit arbys.com/purposefull. 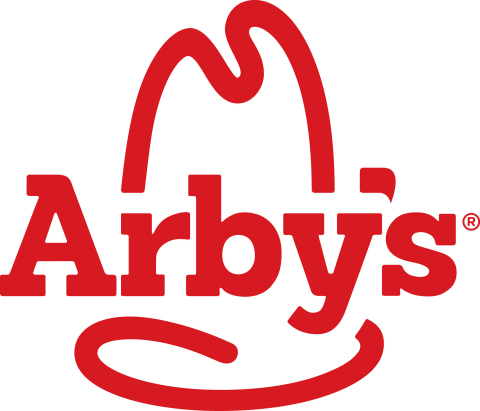 Arby’s, founded in 1964, is the first nationally franchised sandwich restaurant brand, with more than 3,300 restaurants worldwide. The Arby’s brand purpose is “Inspiring Smiles Through Delicious Experiences™.” Arby’s® restaurants feature Fast Crafted™ service, a unique blend of quick-serve speed and value combined with the quality and made-for-you care of fast casual. Arby’s Restaurant Group, Inc. is the parent company of the franchisor of the Arby’s brand and is headquartered in Atlanta, Ga. Visit Arbys.com for more information.